It's that time for plenty of holiday cheer, time spent with loved ones, and cozy evenings snuggled up by the fire. But those brutal winds of winter also mean a high heating bill, as your home tries to keep up and stay warm amongst the falling temperatures. Expensive heating bills may seem to be a necessary evil of cold winters, but they don't have to be. 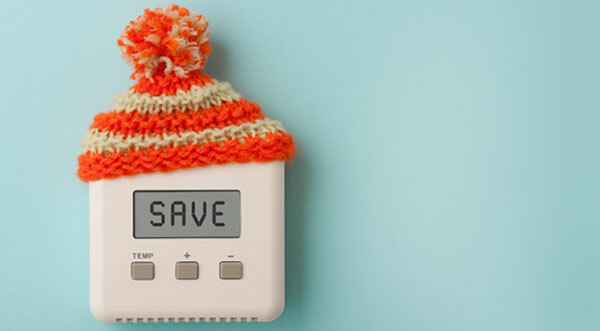 With these 5 tricks, you can save a lot of cash on your heating expenses this season. 1. Replace Weatherstripping: Your home can lose a lot of energy, and in turn money, to weatherstripping that has gone bad. Check all of your exterior doors and windows for places where this seal has come lose, and replace it as soon as possible. This will help to secure your home, and keep all of your warm air from escaping. 2. Check Filters: Clean and replace your home's furnace and air filters right as temperatures drop for the season. By replacing and cleaning these filters, your air will be able to flow easier, cutting down on the energy it takes to warm your home. 3. Go Portable: Do you spend a lot of time in one or two rooms of your home, without ever really stepping foot in others? Consider investing in a small, portable heater or two. These small heaters can warm the rooms you are in and will allow you to turn down your furnace. You can save big on your heating expenses, since your furnace won't have to do as much work. 4. Inspect Insulation: Your home's insulation is what helps to keep all of your furnace's warm air inside, so when there are holes or cracks, that air escapes, and causes your furnace to have to work even harder, and you to have to pay more. To help reverse this, evaluate your home's exterior siding for any malformities, and get those areas fixed immediately. 5. Care for Your Furnace: Nothing helps a furnace run its best like a seasonal check, so plan to get yours maintenanced by a professional once the air turns chilly. This check will help to make sure your furnace is functioning properly and efficiently, and stops any problems before they arise, leaving you will a warmer home, and lower bill. Keeping your home warm in the winter is important, so don't think you need to make major sacrifices when it comes to cutting expenses. Simply adjusting your thermostat by a degree or two could save dozens, and chances are, you won't even notice a difference when it comes to your indoor comfort.